This proud and haunting novel is the last great work of Raymond Williams, his final testament. Here, in one vast, breathtaking sweep, is his story of the land where he was born, the land he loved and left, but could never forget  the story of the people of Wales and the borders, not over one or two generations but many thousands, from the very beginning of recorded time. People of the Black Mountains is a chronicle with a difference, alive with feeling, set within the night-long quest of a young man of today, searching for his grandfather lost on the high ridges. On the moonlit heights Glyn hears voices calling within him, voices which pull us back, over the rim of the years to the days of Marod and his family, sheltering in their caves and hunting horses in a misty Arctic summer. As Glyn follows the tracks the stories form a linking chain across the ages, from before the last Ice-Age to the fierce, defiant struggle against the invading Romans. Lost lives, forgotten memories, lie like the arrowheads beneath the close-cropped Myth and magic, plague and invasion, the warmth and sadness of daily life  slowly the waves of history ebb and flow, like the oceans which long ago formed the sandstone layers at the heart of the mountains themselves. Rooted in the past yet written for the present, People of the Black Mountains is a novel unlike any other, written by one of the great men of our time: a journey in search of a buried history, following the tracks on a map that all of us can read  and walk along  today. 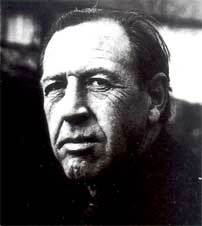 Raymond Williams (1921-1988) was born in the Black Mountains, in the village of Pandy. One of the most influential thinkers and critics of this century he was also a distinguished novelist and all his fiction is set against the background of the beautiful border country of Wales where he grew up, and where he returned increasingly in later life. His much-admired novels include the trilogy Border Country, Second Generation and The Fight for Manod, as well as The Volunteers and Loyalties.